Concrete cutting can be a tall task. Concrete cutting can be a tall task. 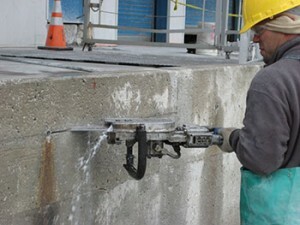 That’s why choosing the concrete cutting partner is essential. The reason why you want to work with the best professionals is that you’ll receive the best results. Here are some of the qualities you should be on the lookout before you begin any concrete work. Work sites and construction zones can be dangerous places, and not just for motorists who are only passing through. They present numerous hazards for the workers, supervisors, and office employees based on them. Concrete cutting is one of the most dangerous ways to deal with old concrete or make spaces for windows and doors on new construction buildings. That’s why you need a partner that prioritizes safety above all else. Part of ensuring that safety includes choosing and using the best equipment possible. After all, following relevant OSHA guidelines ensuring that everyone who has a role to play on the job site is kept safe no matter what it is that they are responsible for. No matter how the concrete is supposed to be cut, it’s going to be difficult and dangerous. It calls for specialized tools and the best equipment available. Blades, machinery, demolition tools – all of them need to be the highest grade you can find, so you can achieve the best results you can. That’s another reason why you can trust G&M Services to help you get the job done quickly and cleanly the first time so you can move onto the next stage of preparations. That next stage of preparations includes putting long years of experience into action. However, longevity doesn’t always equate to quality. Cutting through concrete quickly and safely demands skills, patience, and determination. Check the project history of your potential partner and pay particular attention to how they have served a wide variety of clients, such as for residential, commercial, or industrial customers. Whether the concrete work you need to complete is wall sawing, concrete coring, wire sawing, or concrete grinding, you need to know that you are working with the best. This entry was posted on Friday, February 8th, 2019	at 4:27 pm	. Both comments and pings are currently closed.